Cuban President Miguel Diaz-Canel said the government was working tirelessly for the return of two doctors kidnapped in Kenya. 'Cuba is working tirelessly for the safe return of Assel and Landy, our doctors kidnapped in Kenya,' the president wrote on his Twitter account. 'With them and their loved ones we share the certainty that their humanitarian mission will be respected and recognised. We believe in the power of solidarity,' Díaz-Canel added in his message. 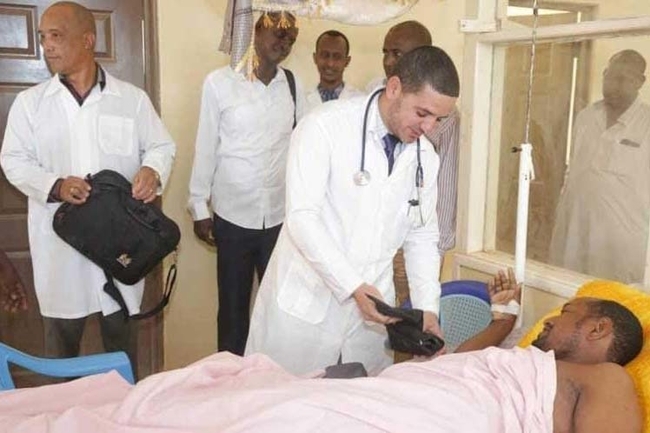 The day before, Kenya's Foreign Minister Monica Juma conveyed her solidarity to relatives of the kidnapped Cuban doctors after having a telephone conversation with her Cuban counterpart Bruno Rodriguez. I had a telephone conversation with Kenya's Foreign Minister, Monica Juma. We exchanged about the kidnapping of the two Cuban doctors and the actions carried out by her country's government in the face of a regrettable incident. She sent her solidarity with her family,' wrote the Cuban incumbent in his Twiteer @BrunoRguezP account. We maintain constant monitoring with the Kenyan authorities,' he said.